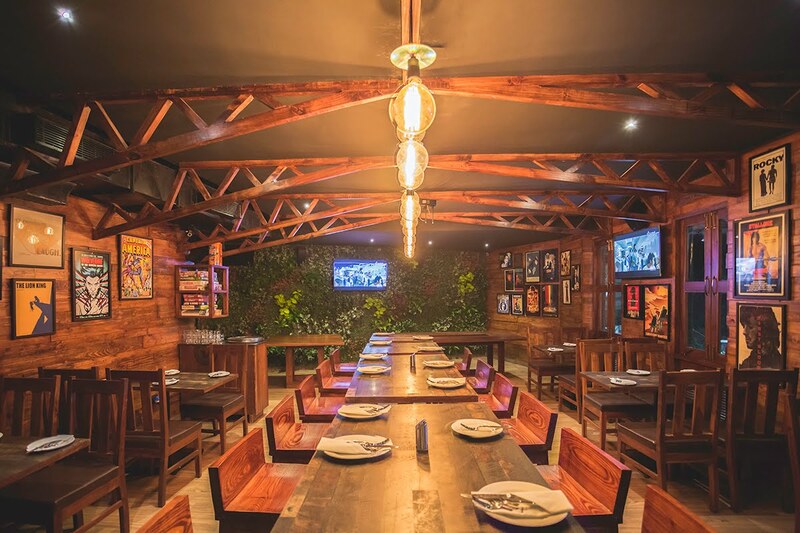 Fit Foodie Megha: Effingut Brewerkz, Baner – Gem of a place! — Reviewed! 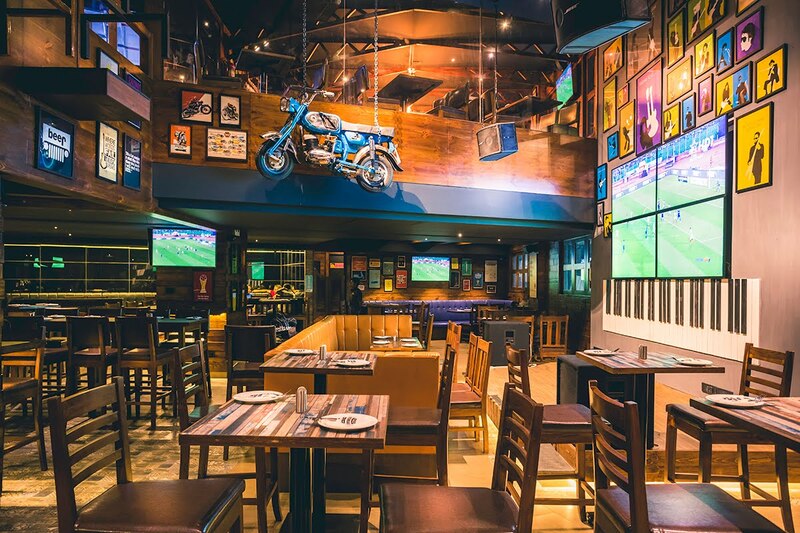 Effingut Brewerkz, Baner – Gem of a place! — Reviewed! Effingut Brewerkz is one of the few places which is really close to my heart. The positive vibes, fun and quirky ambience, delish food, leg shaking music, quick service, happy faces are the attractions to this place. Changing the concept of Brewerkz, Effingut is topping the chart for its craft beers and scrumptious food. After the huge success at Koregaon Park, Effingut Brewerkz has opened its second outlet at Baner near Ranka Jewellers and trust me this is bigger and better! Mezzanine floor, iconic bike, books, old records, huge ceiling, free wi-fi and coffee to top it all, what else do we need. The Mezzanine is quite a private space and have small windows for ventilation. People can enjoy the cool, natural air, smoke and have private time. Effingut have everyday something special planned. And, moreover, 40% discount on the menu. There is no reason for not going to this vibrant place. So, when I was called for the tasting of new menu, I was pretty excited. Well, I started with Gun Powder Onion Rings. Amazingly crispy deep-fried appetizer can't go wrong! Twist was the sprinkle of gun powder over it. It surely enhanced the flavour. So addictive. Highly Recommended! Classic Tacos Refried Beans were next. Fully loaded taco shells with veggies, crunchy lettuce, refried beans and topped with cheese and dollop of sour cream went well with the delicious salsa. Drinks and Kebabs are unbeatable combination! Right!? So, with my mocktail, I tried Italian Cottage Cheese Kebab. The Paneer used in the kebab was soft and fresh, perfectly marinated with the pesto and to give a italian twist, it was stuffed with olives and capers. Loved it! Recommended! Eye catching dish of the evening was Steak Style Paneer Effzza. That is the Pizza in Effingut style. Hollow from center and edges were stuffed with the veggies and folded to give it a nice touch. Each knot is a bite of flavours. Recommended! Asian Sizzler Veg was equally scrumptious. Hot and sizzling paneer cubes in sauce, noodles and french fries were wiped off in no time. Sour and sweet sauce of paneer was as delicious as ever. Highly Recommended! Can you imagine a bowl full of long cheese in makhani gravy and garnished with cheese? How cheesy can it get! Cheese Makhani just blew me away because of the silky, creamy makhani gravy with cheese cubes. 2-3 bites are enough to make your tummy full. Very filling and I do recommend this dish for sure! For my alcoholic friends, you can find wide range of Craft Beers and Beer Cocktails. Sampler of each will be presented in small shot and then you can take your pick. Yes! Choice of cocktails be like.. Along with that they can munch on most loved non-veg starter Bacon Wrapped Prawn and Sausages, Pulled Chicken Tacos or Asian Paneer Calamiri. Spice lovers can opt for Murgh Thecha Kebab. Overall, a beautiful evening spent. I wish it was near my place so that I would go more often. Guys, please show your love to this wonderful place. I am sure, you won't regret.